As the team at the top of the timesheets continued to change throughout the day I thought today’s write up would be a play by play of the days action. Starting with McLaren, who had a point to prove this morning and went straight out on the hypersoft tyres and managed to break into the 1m18s just over an hour into the day. Only Ricciardo, Hamilton and Bottas had managed it at that point. Finally, a bit if positivity for the Woking outfit as there were a few consistently fast 9 lap runs at the start of the day. Vandoorne completed 151 laps by close of play and there were no signs of a breakdown from start to finish. The McLaren was knocked off the top spot as Hulkenberg bolted the hypersoft tyres onto his Renault and broke the 1m19s barrier and snatched the lead from the team they supply. A positive testing for team with lots of mileage and gradually showing more and more pace throughout the process. The two drivers finished 4th and 5th for the day. A very intriguing battle is emerging for 4th in the constructors championship. Next came Ferrari, there were question marks raised yesterday as Red Bull and Mercedes pulled away slightly and Niki Lauda hinted that Red Bull had leapfrogged the prancing pony. Vettel started the day lapping consistently fast on the soft tyres but not troubling times laid down by their rivals. The the Scuderia decided to join the party and put on the supersoft tyres to top the timesheets with a 1m18.079s. Haas threw down a challenge and went into the 1m18s. Magnussen overtook Vandoorne and Hulkenberg on the supersoft tyres. Not quite enough to get the jump on Vettel but a very impressive 2nd for Haas. Vettel isn’t quite finished though, Ferrari finally bolt on the hypersofts and are the first team into the 1m17s. The time to beat is now 1m17.182s. Can Mercedes or Red Bull respond? The short answer is no, the two Mercedes finished 8th and 9th and the Red Bull was 12th. Long runs and race simulations were the focus today but they now have some catching up to do, in terms of one lap pace. Mercedes are yet to use the hypersoft tyres so surely there will be some big laps from the Silver Arrows tomorrow. Riccardo and Raikkonen will be back in the cars tomorrow and hopefully the teams let them all have a shootout in the build up to lunch. The Honda powered Toro Rosso nudged it’s way into the top three again with a 1m18.373s and another 169 laps on the board. Williams might not be setting the timesheets alight but Kubica has become the fastest Williams driver once again. He is proving he still has the pace and I just hope Sirotkin and Stroll haven’t got their seats for financial reasons. Force India continue to plod along without much to speak about. Perez finished 11th on the timesheet after completing 159 laps. Ericsson recorded Sauber’s best time of the test on the hypersoft tyre but I still think they are still slightly behind the rest of the field. A spin into the gravel towards the end of the day shows that the balance still isn’t quite right. 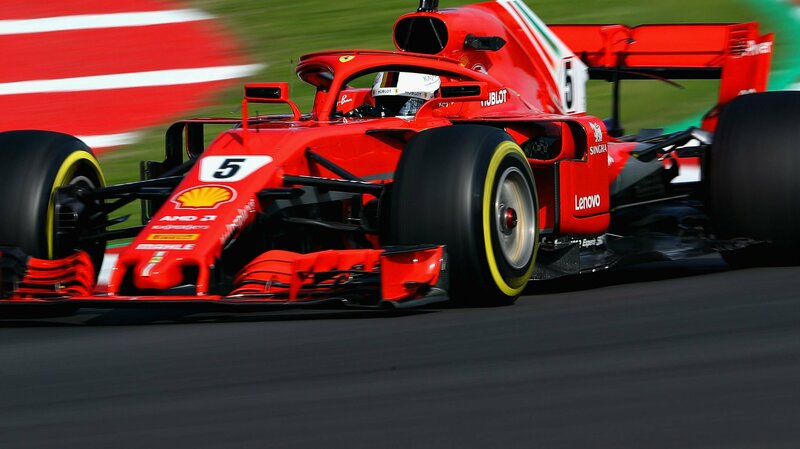 Ferrari seem to be on opposite days to Red Bull and Mercedes it’s like their trying to keep us guessing. When one team is doing qualification sims the other is doing race sims. But across the field we had the biggest mileage on a single testing day with some serious laps completed across the grid. Tomorrow sees the last chance for teams to iron out any issues to ensure they get the most out of the car in Melbourne. I just hope we see the big 3 on the hypersofts at the same time going hell for leather.